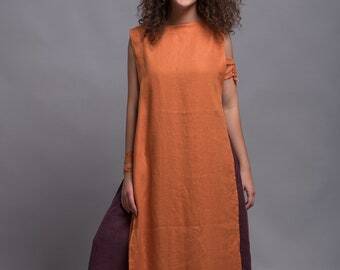 Asymmetrical sleeveless long dress YUCCA with side pockets. 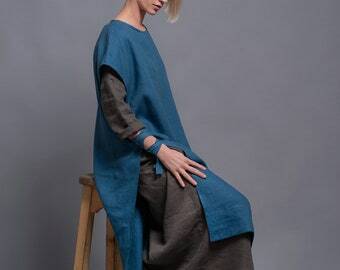 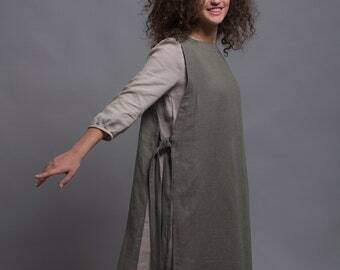 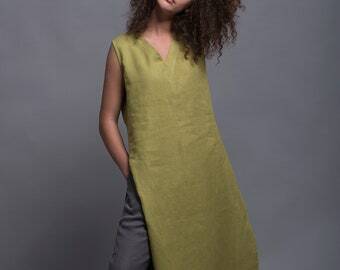 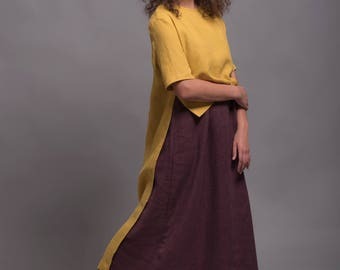 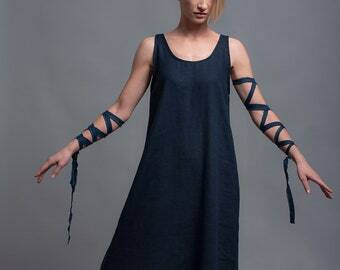 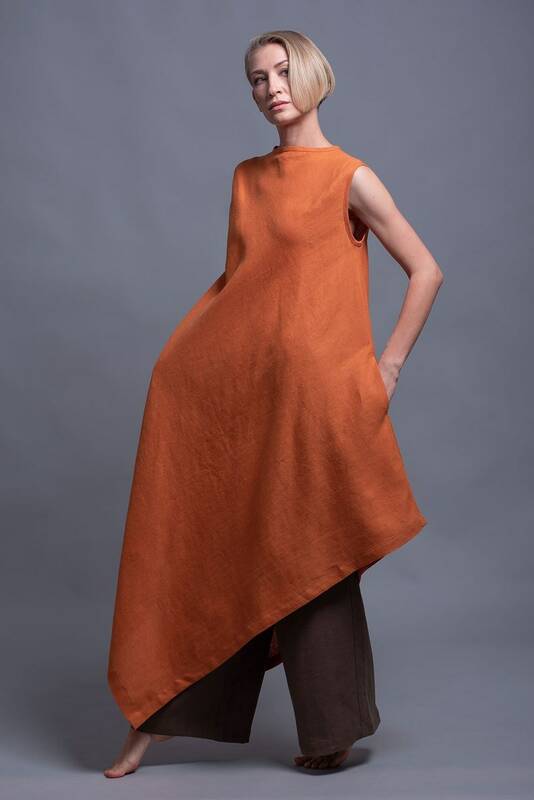 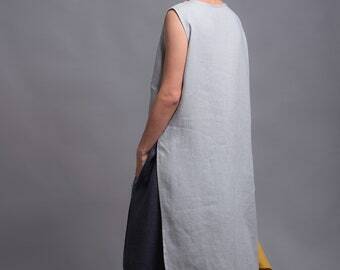 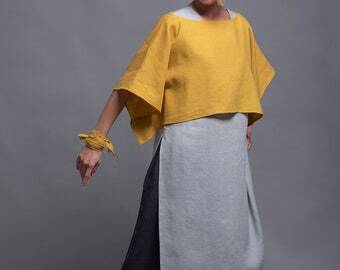 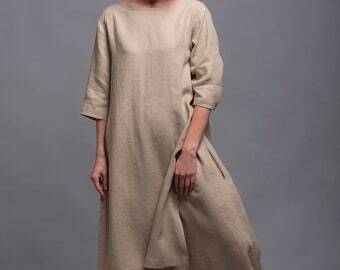 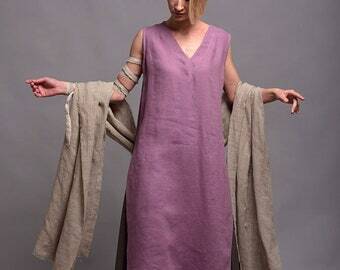 Oversize and loose fitting flax tunic dress in maxi length. 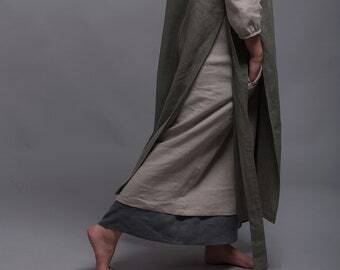 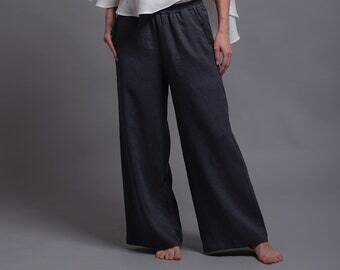 Length to the hem (Size M): 55" / 140 cm. 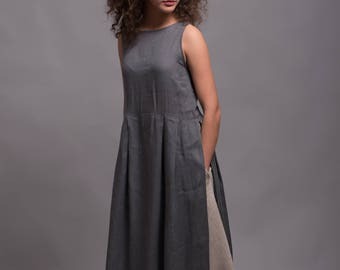 YOU CAN ORDER ANY LENGTH OF THE DRESS JUST PLEASE LEAVE ME A NOTE WITH YOUR MEASUREMENTS AND PREFERRED LENGTH IN THE COMMENTS SECTION WHEN YOU MAKE A PURCHASE: BUST - WAIST - HIPS - HEIGHT - LENGTH.